A dream comes true in Ohrid: Meeting our 1st awardee! Exactly 4 years ago, the IFMSA Alumni who founded the Prof. Erik Holst Fund in Copenhagen had a dream: to establish a concrete platform for collecting contributions from IFMSA Alumni from all over the world in order to finance medical students, members of all IFMSA NMOs, to participate in an IFMSA GA, thus fulfilling their aspirations as young medical activists within the framework of the International Federation of Medical Students’ Associations. The Prof. Erik Holst Fund was born. Today, this dream comes actually true. 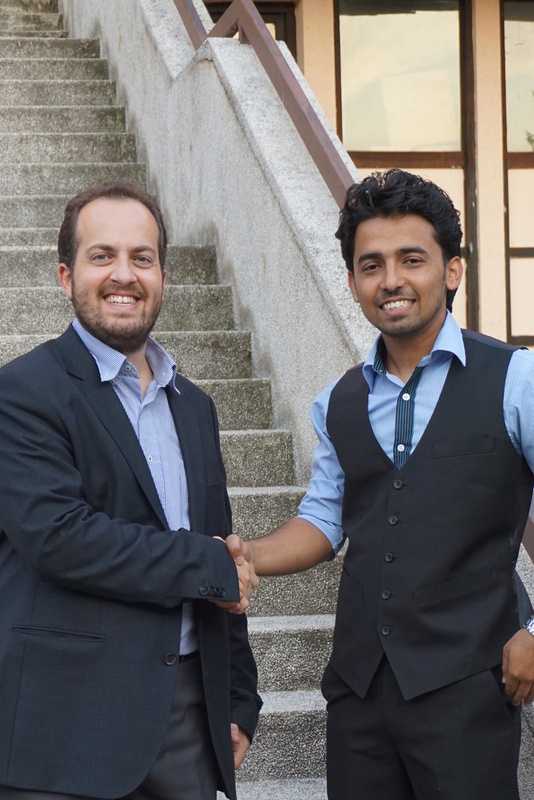 The 1st ever Erik Holst GA Scholarship has been recently awarded to a lucky and promising 5th-year medical student from Nepal, Surendra Sapkota. A few weeks ago, all of you have had the chance to meet him and get to know him better through our website. 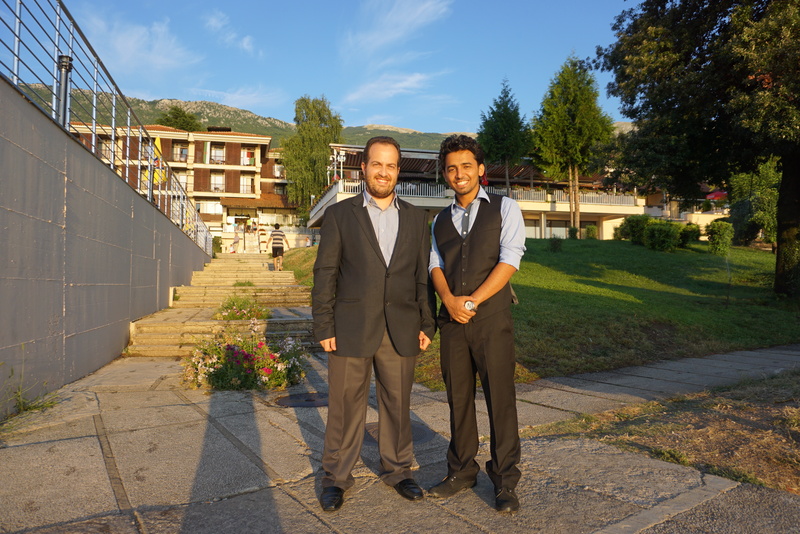 Surendra traveled all the way from his country Nepal in Asia to the Former Yugoslav Republic of Macedonia (FYROM) in Europe, to participate in the recent IFMSA General Assembly – August Meeting 2015 (AM2015) that took place in the beautiful lake-city of Ohrid in the beginning of August, thanks to the scholarship he received from Prof. Erik Holst Fund, that covered his registration fee and part of his travel expenses. His enthusiasm knew no boundaries, as his participation at this GA was something he was dreaming for quite a long time, especially since the chance he was given to attend an IFMSA GA for the first time in Taiwan last year. After returning back home from Taiwan, he was already convinced that he wanted to get involved more within the IFMSA structure and leadership, as well as get to know better how the Federation works and how the experience he could gain from his involvement in IFMSA could be helpful to himself and his fellow colleagues Nepalese medical students back home. We at Prof. Erik Holst Fund had the chance and opportunity to meet him in person in Ohrid, FYROM a few weeks ago, and we talked with him thoroughly about his participation in the GA, his role as Assistant to the Secretary of the GA Plenary, as well as his experiences from meeting with so many fellow medical students from all over the world. We were so happy to determine that we made indeed the right choice awarding him with the 1st GA Scholarship among 75 applicants, as he proved to be a very charismatic person, full of energy and enthusiasm, ready to get involved with IFMSA work both at the international level as well as back home in Nepal, and looking forward to participating again at an IFMSA GA next year, if possible to continue his journey in the IFMSA world. Last but not least, we were able to see how important it is, to continue our work in raising awareness among IFMSA Alumni to continue supporting our efforts by donating to the Prof. Erik Holst Fund in the years to come. Only by doing so, we will be able in the future to award many more GA Scholarships as well as Project Micro-grants to medical students and their IFMSA local projects. Next stop for Prof. Erik Holst Fund is Malta and the IFMSA General Assembly – March Meeting 2016 (MM2016) that will take place next March in the beautiful tiny archipelago country of the Mediterranean! Until then, stay in touch, and of course, do not forget to visit our “Donate Now” page and kindly contribute to our efforts! Because, as we all know, we really want to “give something back for what IFMSA has given us”! Thank you very much, IFMSA Alumni!